Click here to hear the theme music. I remember seeing the advance promo commercials for this,it made us instant fans before the show even aired. The first catch phrase that had our family name in it: "Get this crate moving, Race!" Which was Jonny telling Race Bannon to put the pedal to the metal in the hover craft they were fleeing in from some modern day pirates. I also liked the episode that explained how Hadji joined the group. As for finding it, the series can be bought on DVD. I would suggest it to anyone for their kids. Remember to tell them it was made during the cold war and Viet Nam era. I purchased the first season on DVD the Christmas after posting this, and then watched 45 minutes of a 2 hour documentary on the series. It was quite eye opening. There were several scenes where the dialog was muted out due to what is now politically incorrect dialogue. In one episode Race calls a tribe of indigenous peoples monkies, and in another, Jonny comments on a villains ethnic background, "watch out, here come's the orient express". Interestingly, while making a rather veiled insult as to the villians ancestory, it was okay to watch him plummet thousands of feet off the mountain to his death. Easy there Chuck.... Growing up a kid in the '60's, Hanna-Barbera was the leader in cartoons. There was Yogi Bear, Huckelberry Hound, Quickdraw McGraw, Snagglepuss, The Flintstones and more. By the time Johnny Quest came out, the animation had improved some (Not a lot by todays standards but some) and it showed a more human style of character (not like some of the crap you see on the tube these days). 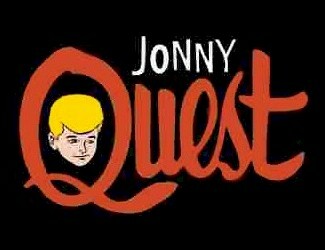 What todays animators need to do is to look at the animation like Johnny Quest and try to replicate that style. Am almost sure there would be a larger fan base. For the time in which this was produced, it had decent animation, and that's something considering it was a "Hanna-Barbera Production". Used to watch this show all the time as a kid. Wish I could find it somewhere so I could show my Grandson what a good cartoon was like. i loved this cartoon it was my fav. every saturday morning i wood watch this.